Privacy & Cookies - Q.D.A. Your privacy is very important to us. We will not release your details to any outside company for mailing or marketing purposes. We may from time to time send you special offers or news by email, but don’t worry you won’t get bombarded, we’re a family firm and we do all this work ourselves so don’t really have much time to do it. If, however you don’t wish to receive anything from us please just send us a brief email. Q.D.A. understands that your privacy is important to you and that you care about how your personal data is used and shared online. 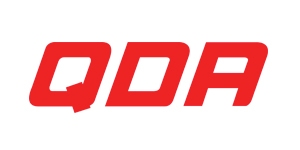 We respect and value the privacy of everyone who visits this website, https://www.qda.co.uk (“Our Site”) and will only collect and use personal data in ways that are described here, and in a manner that is consistent with Our obligations and your rights under the law. Means Q.D.A., a company registered in England under company number , of Q.D.A., 215 South Coast Road, Peacehaven, East Sussex, BN10 8LA. 2.1	Our Site is owned by Q.D.A., a company registered in the United Kingdom under company number , of Q.D.A., 215 South Coast Road, Peacehaven, East Sussex, BN10 8LA. 2.3	Our VAT number is 190892825. 2.4	Our Data Protection Officer can be contacted by email at enquiries@qda.co.uk. You have the right to ask for a copy of your personal data held by Us (where such data is held and is not exempt for disclosure). Under the Data Protection Bill 2018, Under the GDPR, no fee is payable for a single request for data and We will provide non exempted information in response to your request in the first instance. Should you wish to make such a request on more than one occasion within a reasonable period, Q.D.A. reserved the right to charge a nominal fee to cover Our expense in providing data on subsequent occasions. This charge shall not exceed £10 for the second or subsequent requests. Please contact Us for more details at Q.D.A., 215 South Coast Road, Peacehaven, East Sussex, BN10 8LA.